Floral tea has always felt a bit magical to me. Seeing the brightly colored petals floating in my tea cup gives me a sense of fairytale wonder and makes the enjoyment of my cuppa that much more delightful. 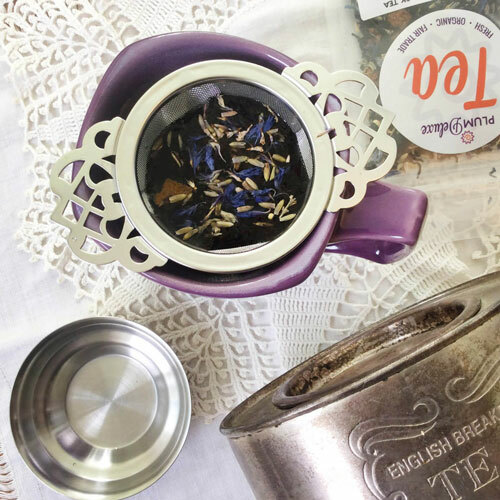 Floral tea is not only visually enticing with its colors and shapes, it also enchants with the heady aromas of spicy lavender, gentle elderflower, and luscious hibiscus. Many of them also have healing properties that aid in digestion, provide a boost of vitamin C, or help the drinker relax after a stressful day. Collecting fresh flowers or scooping dried ones from a jar in my pantry feels like the beginning of an adventure, one where I’m the creator and designer. 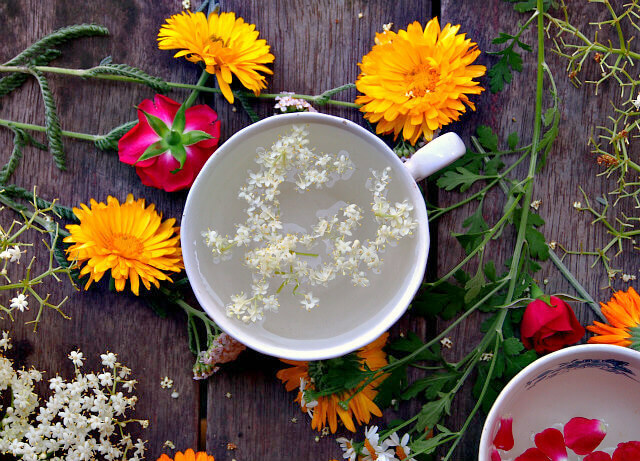 Floral teas vary from medicinal varieties such as feverfew and yarrow, which don’t taste too great but are nourishing to the body, to ones so delicious, like hibiscus, that you only need a bit of honey or sugar to turn them into an intoxicating elixir. 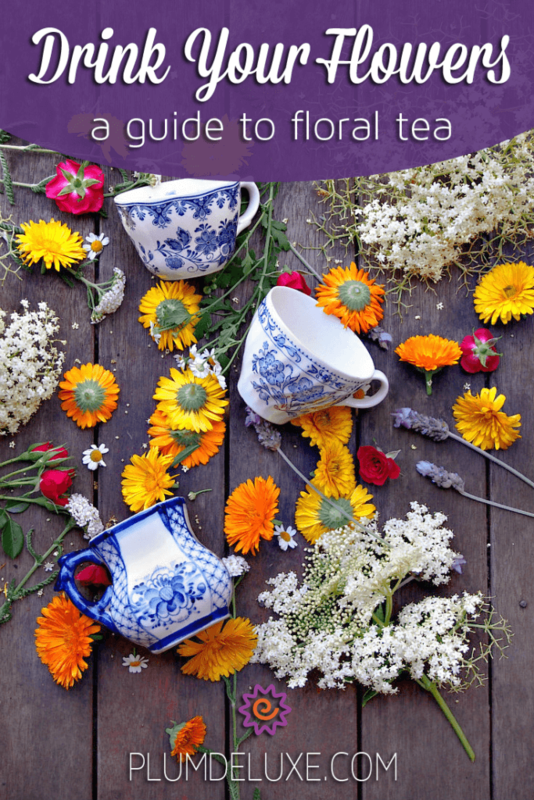 If you’re just starting out brewing floral teas, it’s a good idea to sample various blends to figure out what you like best. 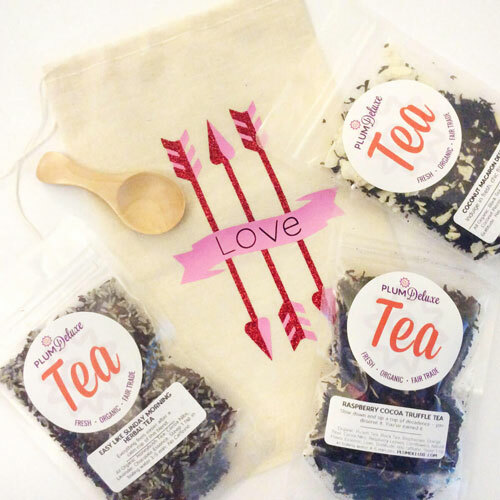 Our Calm Chamomile Bloom herbal tea filled with rose petals, lavender, and chamomile is a soothing blend, as are our Slowly Unwind herbal tea with linden flower, elderflower, and rose petals and Evening in the Garden herbal tea with elderflower and rose. 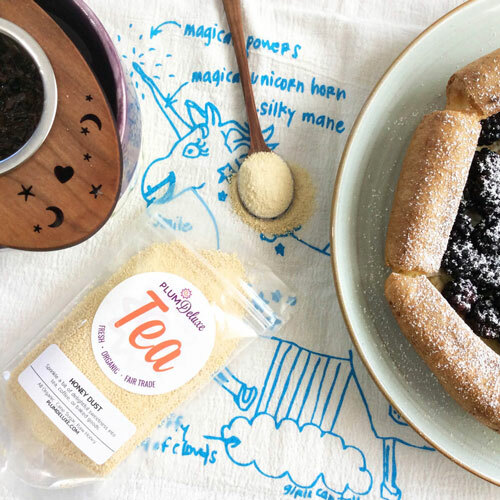 Best Friend’s Advice delights with cheery yellow calendula petals, while Happy Hour with vivid hibiscus is the perfect tea to start off an evening of fun with friends. Regardless of which flowers you like best, make sure you use high quality blooms that haven’t been sprayed. It is mighty disappointing to brew a cup of rose petal tea only to discover the added taste and aroma of a pesticide. 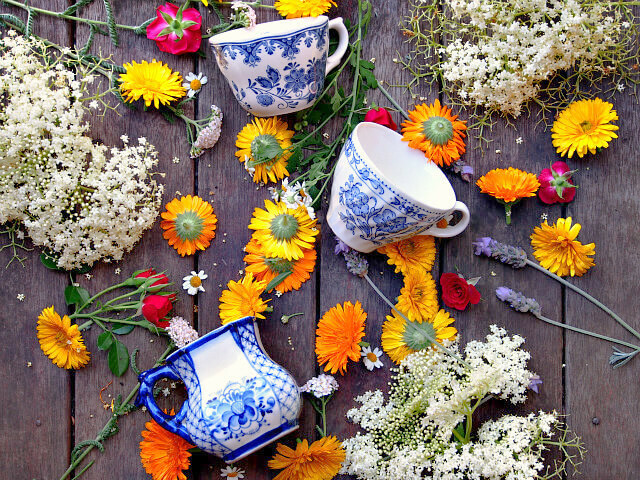 Floral tea is not only fragrant and beautiful, it can also often hold unseen elements that will aid and support your health. Once you’ve figured out which flowers you like best, it is fun to find out a bit about them to see if they’re bringing more benefits to you than just pleasure. Hibiscus floral tea can relieve from high blood pressure and high cholesterol, support your immune and digestive systems, and is rich in antioxidants, vitamin C, and minerals. Linden flowers, chamomile, and lavender buds have been used for centuries to soothe frazzled nerves and calm anxious feelings. Elderflowers also contain vitamin C, and are excellent for treating symptoms of colds and flus. 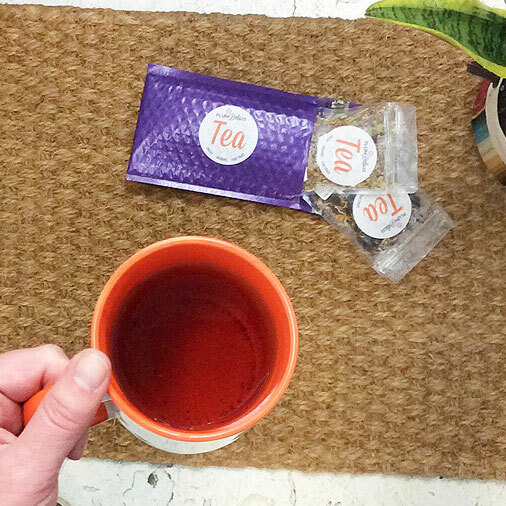 Brewing floral tea is different than your usual cup of Earl Grey. While some believe that a short brewing time is good across the board for floral tea, it’s not quite the case. 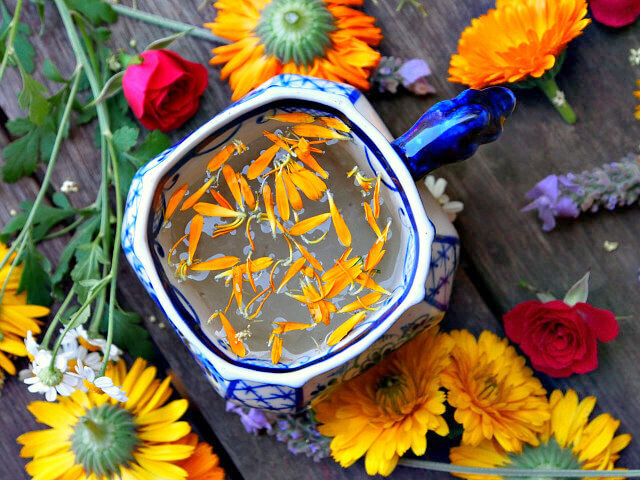 I always start with fresh water, just boiled, poured over 1 tablespoon of dried flowers or 2 tablespoons of fresh flowers. If I’m using pungent flowers like lavender, I only steep for a short time, maybe 1-2 minutes, tops; it’s easy for lavender to go from lovely to shudderingly bitter. However, with most other flowers such as hibiscus, calendula, or elderflower, I steep them as I would an herbal tisane, about 7-10 minutes. This ensures that the flavor and healing properties are fully developed in the brew you drink. I never add milk to floral tea, for I find it distracts and muddies the flavor, but I always sweeten it a little. Some prefer the delicate flavor unencumbered by sweeteners, but I find that they are enhanced with a bit of honey or raw sugar.